So you guys already know of my love and appreciation for the phone case company Otterbox. If you don’t, quite frankly where have you been? 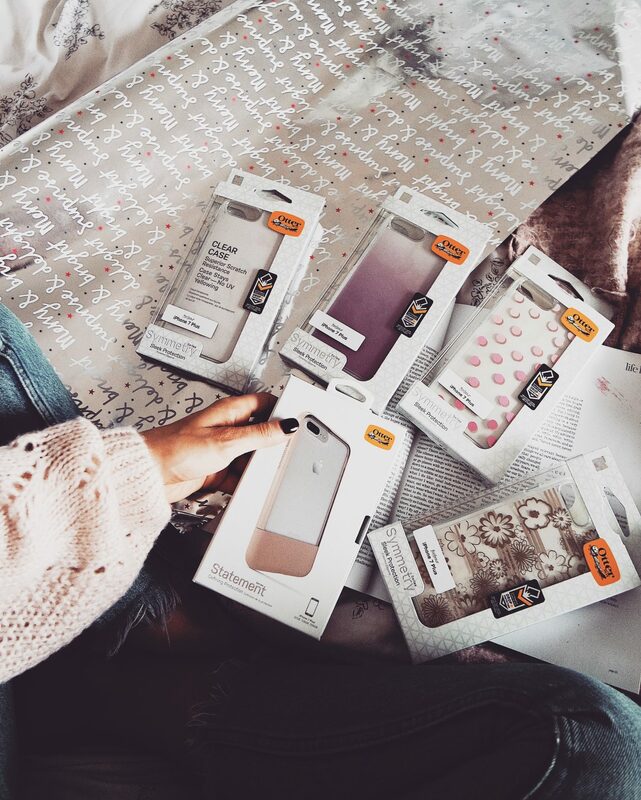 You can read all about my affinity for the phone cases and how they quite literally came to me in my time of need here but basically unlike a lot of the phone case companies on the market right now they do nice phone cases that actually protect your phone. Usually it’s one or the other right? I promise I don’t need to go to rehab guys! I know you probable are all worried about me and my shopping habit but it’s basically my job so it’s fine I can justify it and that makes it even more enjoyable right!? So I have another haul, I’m calling this a winter haul though I am sure you’ve realised by now that I don’t really stick to the seasons, I wear skirts with bare legs in winter and chunky jumpers in summer because . . I like clothes and who’s going to let the weather get in the way of a good outfit am I right?! My final christmas gift guide and I’ve only brought one present so far so quite frankly, should you really be listening to me? I don’t know, I’ve got all the ideas but no motivation to take my own advice. To tell you the truth I’m 100% waiting for black Friday which is just around the corner on Friday. All of the deals will be out so if I were you, I would be adding anything you see here to your favourites or saving a shopping basket, then going back to it on Friday and purchasing if it’s got a discount. Or if it hasn’t. But basically just hold your horses and see if it’s gone down. Christmas is all about love and kindness and gifting. For other people. But what about us? I often tell my boyfriend off for the way he talks about himself and I think a lot of us could learn to be a bit nicer to ourselves on a day to day basis especially at Christmas. Who says that gifting has to just be for other people, what about self gifting? I’ve teamed up with Bicester Village to go on a little self gifting trip with my sister and let’s just say, we were very kind to ourselves. Black Friday is like the ultimate shopping day of the year, the best sales happen on this day and unless you’re a pro and have super pointy elbows, I’d recommend shopping the sales from the comfort off your own home! As with any sale, before you shop it, you need a game plan so you don’t loose your head and end up with your dream dress 4 sizes too big and a pair of shoes you’ll never wear but they were a great price.